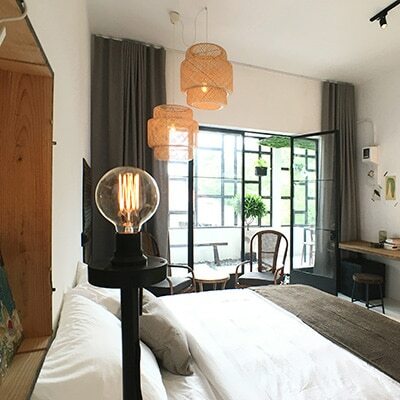 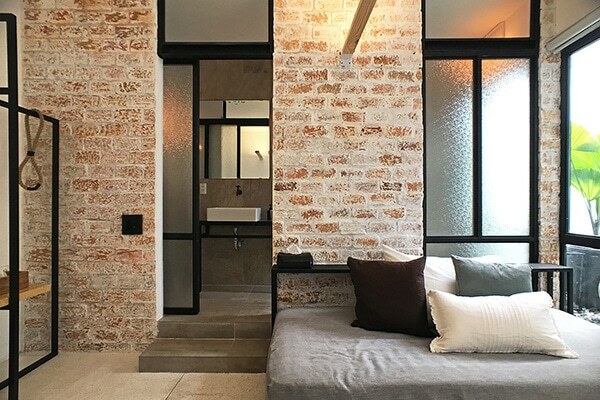 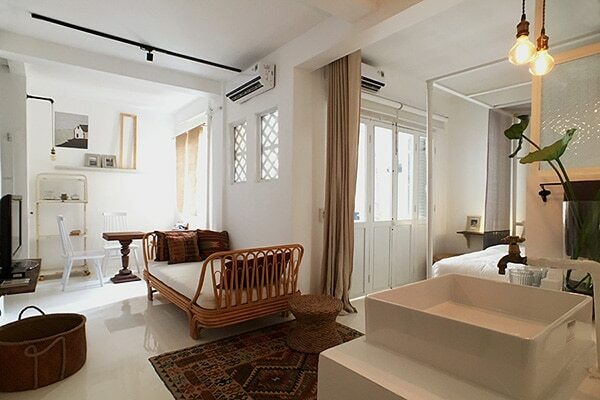 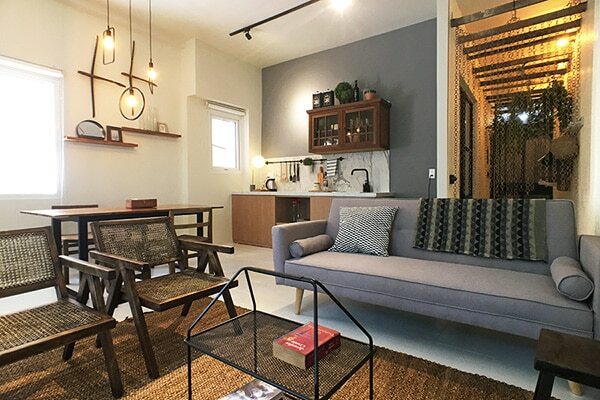 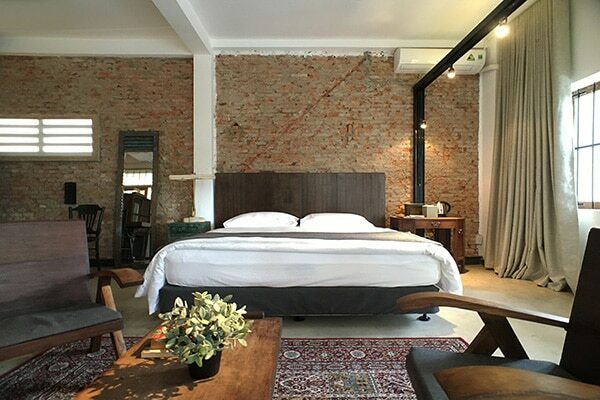 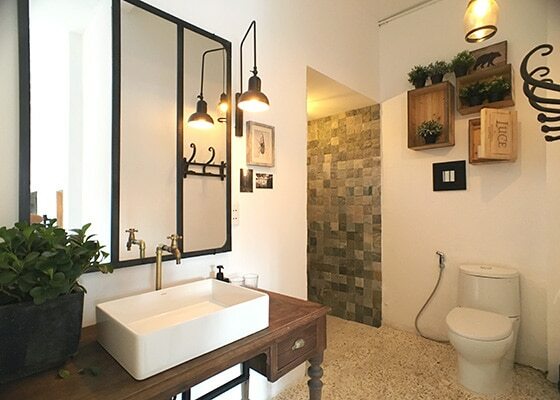 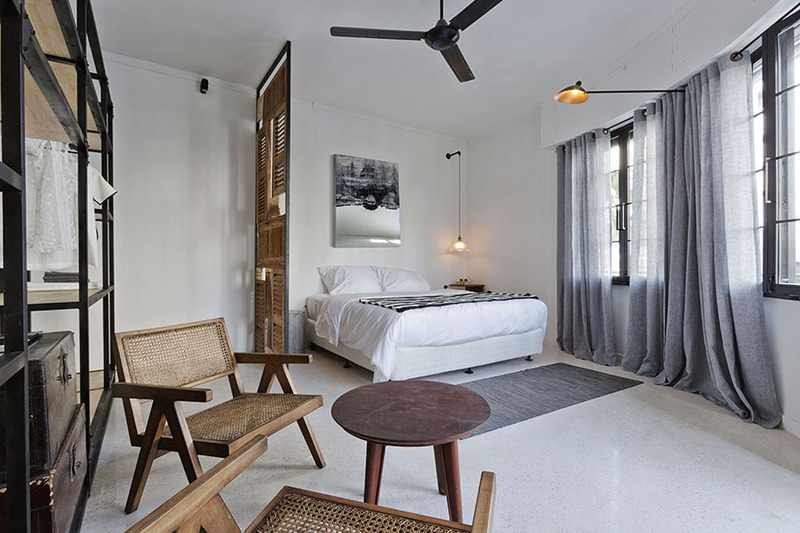 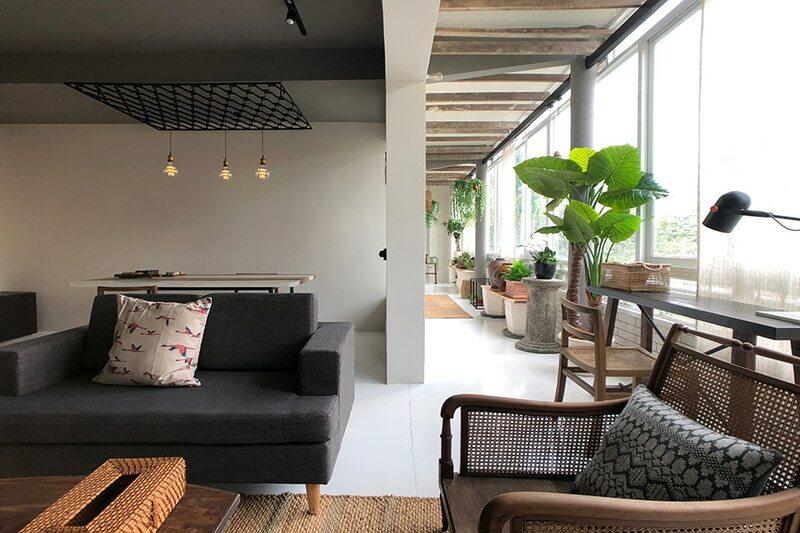 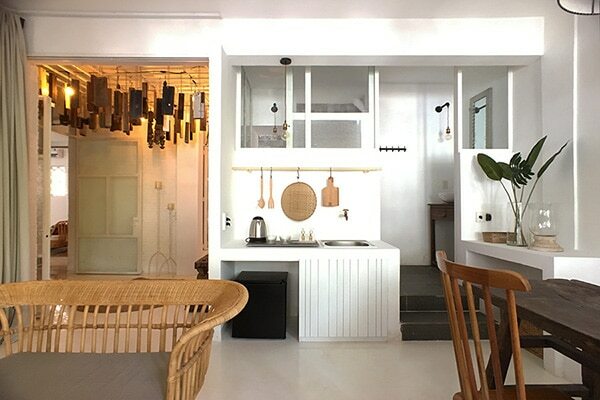 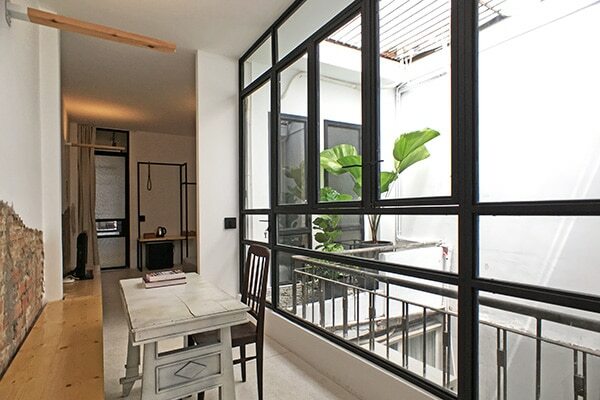 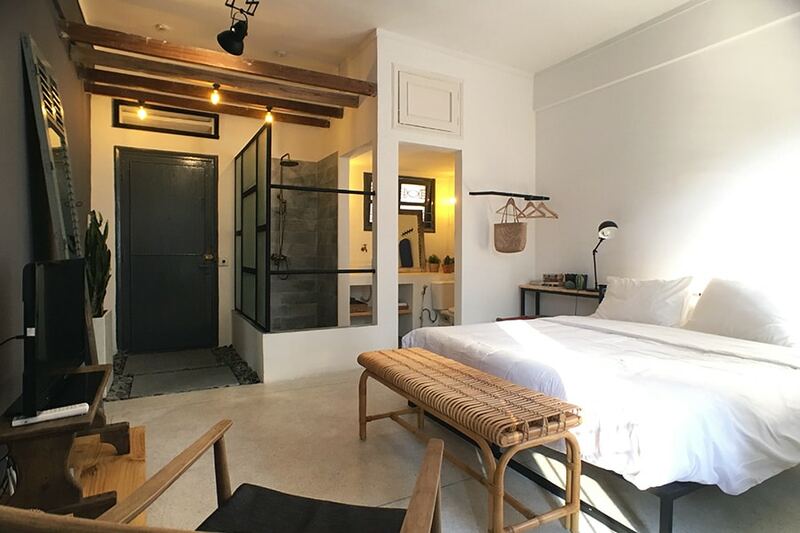 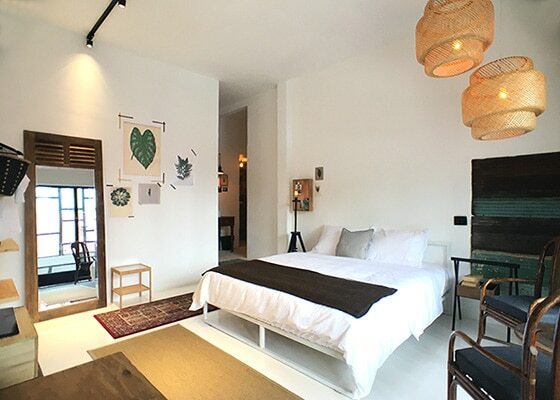 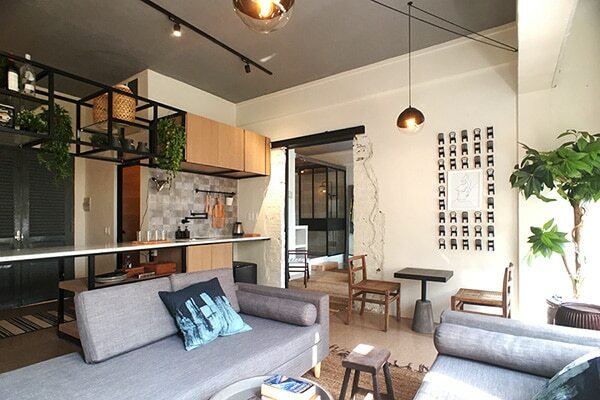 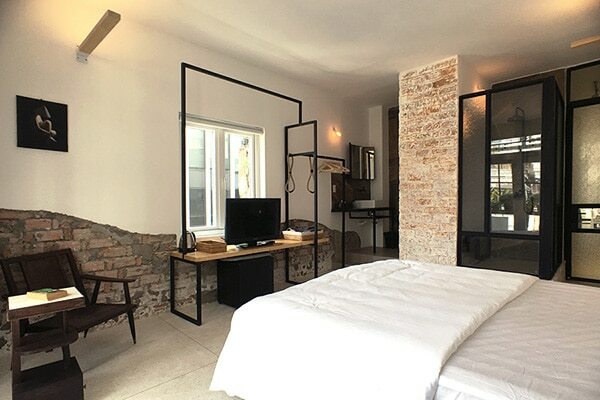 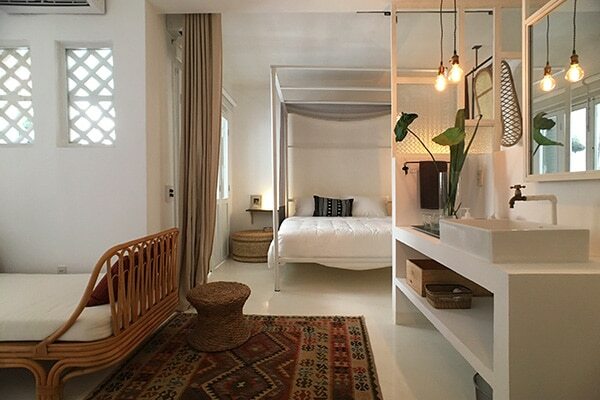 Located in a stone’s throw from the Notre Dame cathedral, this apartment is an oasis from the busy streets of HCMC. 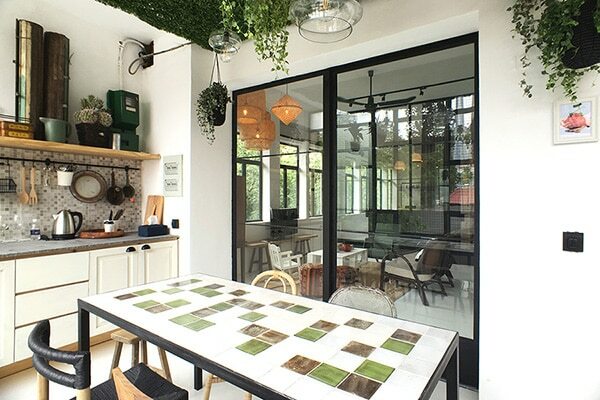 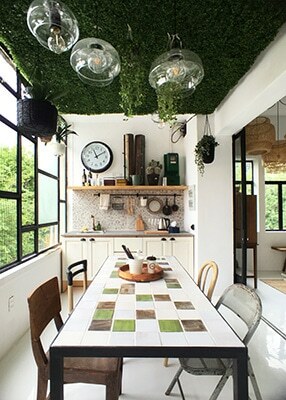 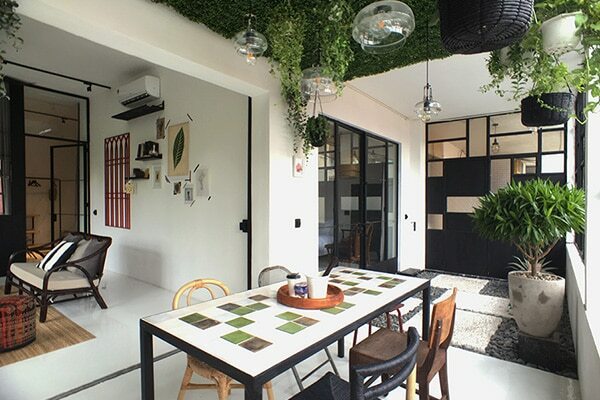 A pebbled courtyard and a kitchen filled with plants greets you upon entering the apartment. 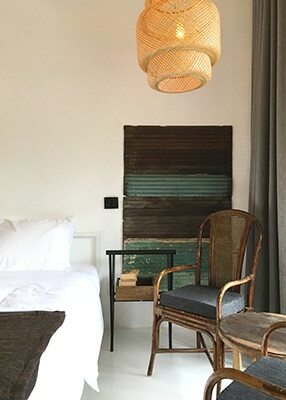 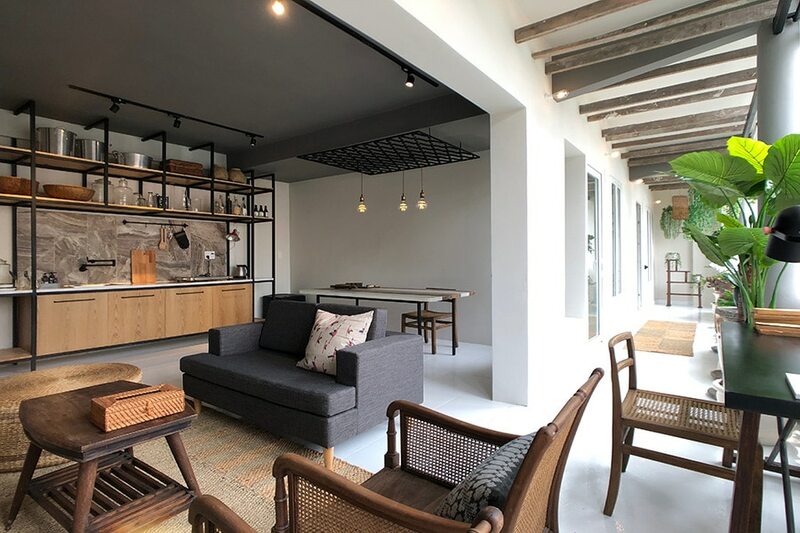 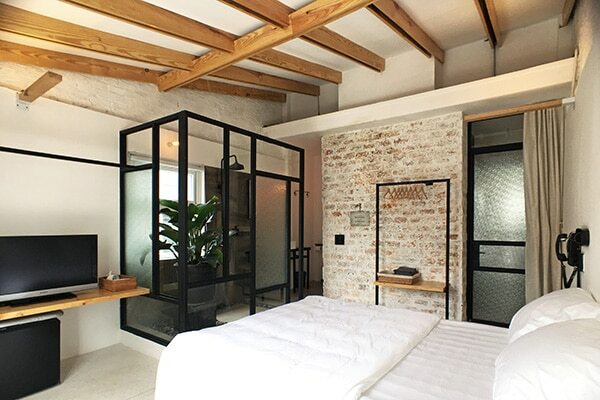 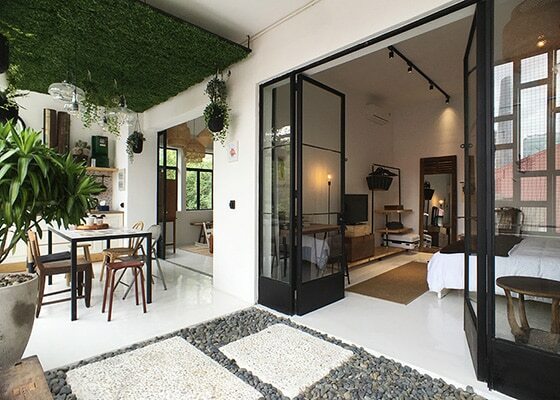 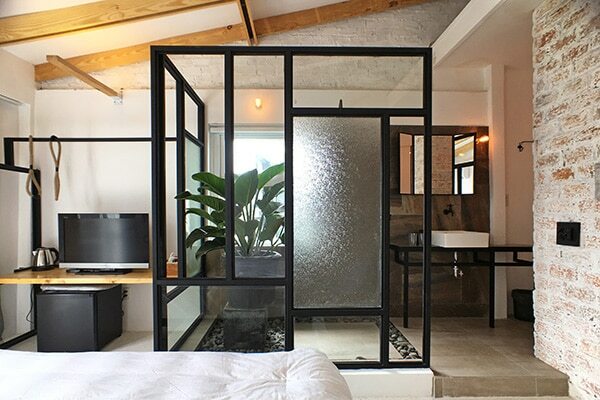 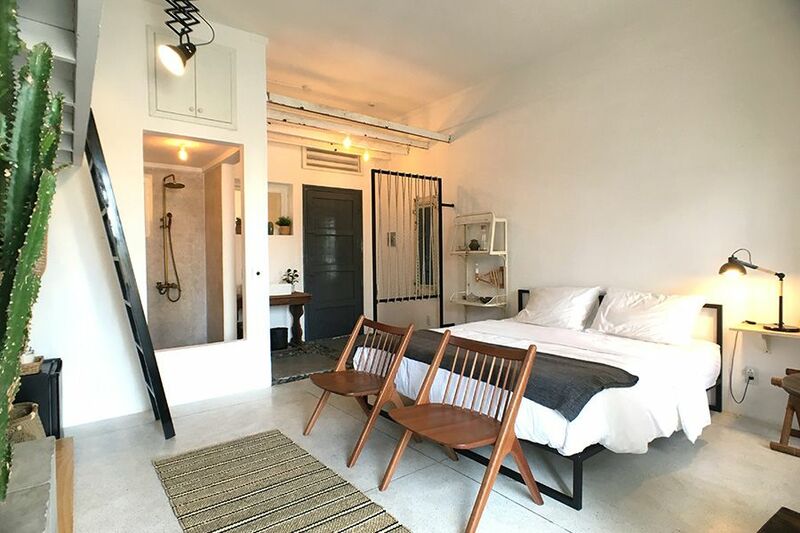 This generously sized studio is elegantly framed by full height black steel doors and comfortably furnished with a king-sized bed, wicker furniture and an emerald coloured stone rain-shower. 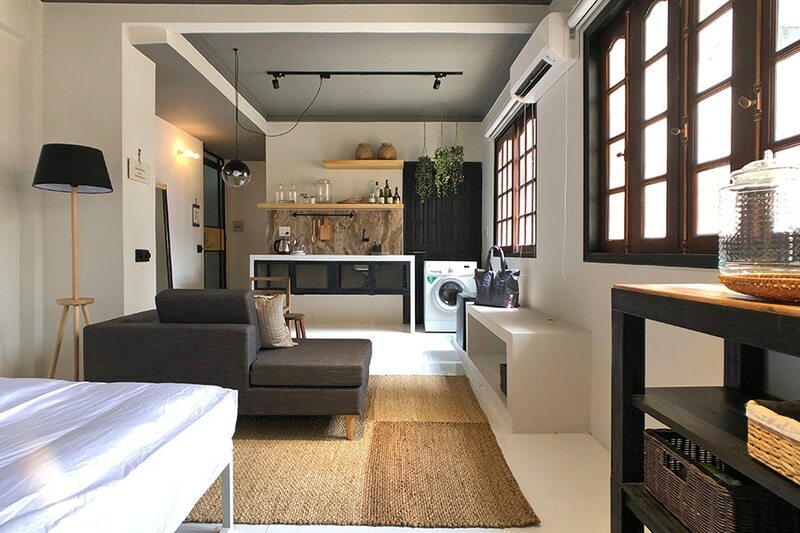 This special studio makes you feel right at home.